If you’ve heard of Private Jet Services® (also known as the PJS Group), it’s probably because they’ve been on the move as of late. 2018 seems to be a busy year for the group, who had been ramping up on their private jet services. The company has been noted for its high-profile clients and high-volume missions for some time now, as the company has focused on tours, roadshows, and campaigns for the most part. Owner and founder Greg Raiff himself has had experience with group travel since his Middlebury College days—the bulk of his primary market coming from the annual spring breakers. One could say that their jet card service seems like the perfect step forward. The jet card service, which was established in 2014, has attracted a strong following for its impressive offerings. The offering boasts of guaranteed availability and fixed pricing for its one-way trips, while its recent developments also offer something for potential clients to look forward to. For one, the company had expanded its lifestyle partnerships, allowing them to provide customers with a travel experience that feels more curated, intimate, and luxe. For another, it’s also announced that it would continue to not have fuel surcharges—a nice respite for potential flyers who are worried about added costs. Priority Jet Card. Aircraft for this option are mostly older types, often manufactured before the year 2000. But while the fleet is older, this doesn’t mean that they are any less reliable. This only means that you get to pay less for the same sense of security. Elite Jet Card. Aircraft for this option are mostly newer types, often manufactured during or after the year 2000. But while this option might be a little more costly, you also get the convenience and efficiency of service these aircraft types offer. The hourly rates are inclusive of fuel and taxes, although if you need de-icing, you might have to pay extra. But this might not be a bad thing—the add-on price means that you pay less unnecessary fees. And only 20 peak days, including a 10-hour to 7-day lead time reservation. While the program is still reasonably young, it’s nonetheless proved its mettle thanks to its affordability and dedication to a luxe travel experience. And as a lot of its perks can benefit group travelers, it’s a great go-to if you’re looking to book a flight with friends or colleagues. 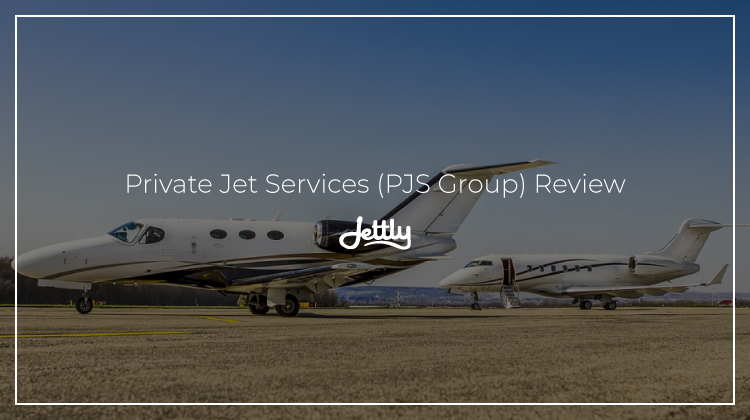 Disclaimer: Jettly is in no way affiliated with Private Jet Services. Private Jet Services is a registered trademark of Private Jet Services and PJS Group.